Sharjah: The Sharjah Public Library (SPL)’s Khorfakkan branch has marked its first activity to celebrate the ‘UAE Year of Tolerance’ last Friday with an open day for its visitors. 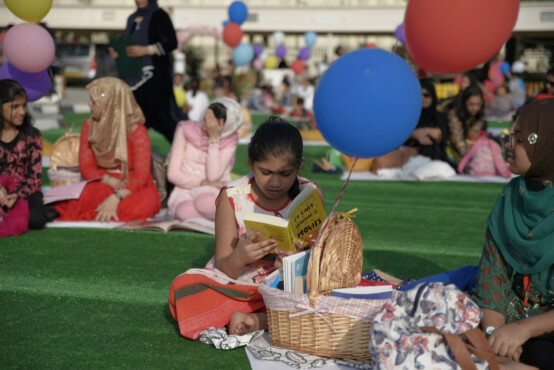 The library organised an array of musical, artistic and poetry activities to highlight the beauty of multiculturism and the need to understand and embrace cultural diversity to further enrich the UAE society’s vibrant social fabric. Famous artists such as Patrick Seth from India and British-Indian artist Sheetal Sharma presented a range of musical offerings from their countries. Children were entertained through storytelling and drawing sessions. “Tolerance is a hallmark of progressive and civilised societies, whose members enjoy equal rights, opportunities and respect regardless of their religious and ethnic backgrounds, or their gender,” said Eman Bushulaibi, Director of Sharjah Public Library noted. She explained that tolerance offers the basis for promoting values of peaceful coexistence and respect for all, and is a prerequisite of sustainable development.